Starting Your Own Fish Farm - Part 2 - Haba Naija! Stocking the pond – juvenile fish should be purchased from reputable hatchery as compared to fingerling. Juliennes are more active with better chance of survival that is low mortality. If fingerlings are purchased, effort should be made to sort out the shooters among the stock after feeding regularly for three weeks. If the shooters are not removed, there in tendency for camibalish especially among Clarias species. Feeding – balance fish ration are available in the market on various brand names. Careful selection should be made based on recommendation by local fish farmer or extension agents. Fish should be fed at least two timed in a day. Moring and afternoon. Overfeeding or under feeding should be avoided all the time. When underfed, the tendency in for malnutrition and stunted growth. Feeding should be balance. Regular feeding of balance ration for six months will keep the fish up to table size of 1kg or above. Water management – as much as possible water in the pond should be free of pollution. The water should be diarized and replaced with at regular intervals to facilitate healthy fish growth. Changer of water should be more frequent in tanks. Harvesting – fish fed regularly as described earlier should be ready for harvest within 5 to 6 months with average weight of 1 hologram. To ease harvesting the water should be drained completely or to minimum level. The fish is harvested with fishing net which in dragged at the base of the pond or tank to capture all the fish at once. The met should be wide enough to cover the while pond once. So that no fish will escape. 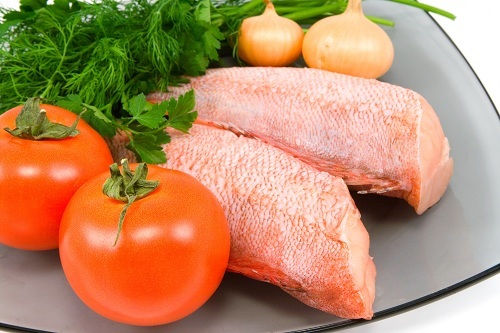 Sales – Life Fish in more expensive than frozen or smoked fish. The price of ,life fish in Nigeria currently in between N 300 –N 500 per kilo depending on the market location, and, species of fish. Clarias in preferred to tilapia. Fish are also killed and smoked for export.